1. Usage: Holding machine parts and other hardware parts. 2. 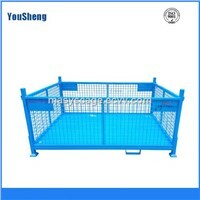 Character: welded by high quality steel wire, strong and durable. Foldable, take less room. 3. 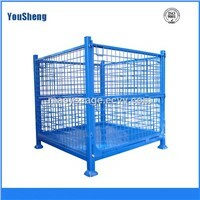 Finish: Powder coated or galvanized steel. 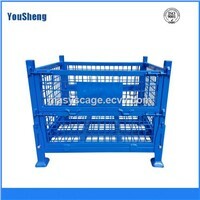 Galvanized, can be long time used. 4. Flexible wheels at the buttom can slide to all directions. Convenient to transport and circulate. 5. Durable, reasonable in price, good in quality, fine in workmanship. 6. Can not be destroyed by insects, anti-humidity and anti-corrosive. 7. 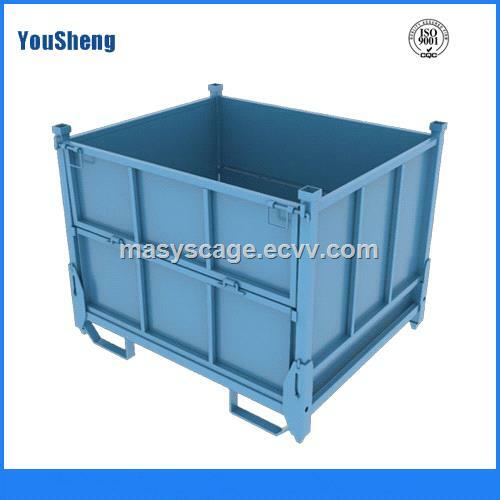 It is widely used in manufacturing, transportation, turn overing as well as packing. 8. Better than wood cage. of unloading in a large scale. it can be folded in manner that seved 20% of storae space. 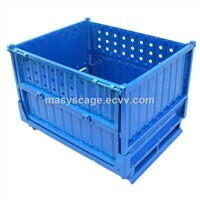 With pallet or elevator, the container can be easily operated. To transport materials covering all phases of the manufacturing cycles . The materials will not be damaged during transportation. Hence, it saves cost and lab our Charge. Easy to operate: Due to its unique construction, it can be operated safely and easily by anyone. 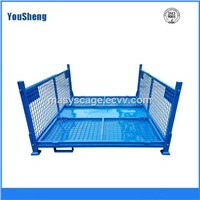 It's made with durability and space saving in mind and is highly recommended for use in manufacturing industries. 5. We are good at design service and produce according to your design.